Most couples who get married hope their marriage will last a lifetime. Therefore, entering into a premarital agreement regarding what happens if they divorce seems counter-intuitive. However, many marriages do end in divorce despite a couple’s best intentions, and sometimes one spouse will lose a significant amount of property or assets in the divorce agreement. For this reason, it is wise for many couples, especially those who have substantial assets, a family business, or a family business to enter into a premarital agreement, otherwise known as a prenuptial agreement or simply “prenup.” For assistance with creating or negotiating the terms of a prenuptial agreement, call attorney Kenneth P. Carp today at (636) 947-3600. In order for a premarital agreement to be enforceable, however, Missouri law 451.220 requires that the parties follow certain formalities in the formation of the agreement. If you do not correctly follow these requirements, you may find that you are not actually protected at the time of your divorce. Additionally, many spouses may try to challenge the validity of a premarital agreement at the time of the divorce if they have decided the provisions were unfair. For this reason, you never want to risk having a premarital agreement that does not meet the requirements of the law and that may not hold up in court. When both spouses want a premarital agreement, in is important to make sure want to make sure all of your interests and rights are protected and that you will not be subject to any unfair provisions in the agreement. An experienced attorney can examine and explain all possible provisions in a prospective agreement and fight for your best interests. If you are getting married, you should always consider whether a premarital agreement would be appropriate in your particular situation. It is always a good idea to consult with an experienced St. Charles family law attorney because an attorney can help you identify red flags or other concerns that you may want to address, though would not have recognized yourself. 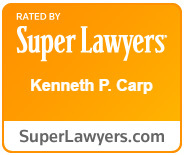 Kenneth Carp has been helping St. Charles residents with a wide array of family law issues since 1991, so please do not hesitate to call (636) 947-3600 for help today. St. Louis County: Ballwin, Bella Villa, Bellefontaine Neighbors, Bellerive, Bel-Nor, Bel-Ridge, Berkeley, Beverly Hills, Black Jack, Breckenridge Hills, Brentwood, Bridgeton, Calverton Park, Champ, Charlack, Chesterfield, Clarkson Valley, Clayton, Cool Valley, Country Club Hills, Country Life Acres, Crestwood, Creve Coeur, Des Peres, Edmundson, Ellisville, Fenton, Ferguson, Flordell Hills, Florissant, Frontenac, Glen Echo Park, Glendale, Goodfellow Terrace, Grantwood Village,Green Park, Greendale,Hanley Hills, Hazelwood, Hillsdale, Huntleig, Jennings, Kinloch, Kirkwood, Ladue, Lakeshire, Mackenzie, Manchester, Maplewood, Marlborough, Maryland Heights, Moline Acres, Normandy, Northwoods, Norwood Court, Oakland, Olivette, Overland, Pagedale, Pasadena Hills, Pasadena Park, Pine Lawn, Richmond Heights, Riverview, Rock Hill, Saint Ann, Saint George, Shrewsbury, Spanish Lake, Sunset Hills, Sycamore Hills, Town and Country, Twin Oaks, University City, Uplands Park, Valley Park, Velda Village Hills, Vinita Park, Vinita Terrace, Warson Woods, Webster Groves, Wellston, Westwood, Wilbur Park, Wildwood, Winchester, Woodson Terrace.